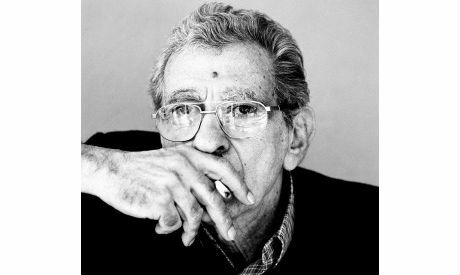 Zawya – Cairo's art house cinema – will host a retrospective week for Youssef Chahine, one of Egypt's most influential filmmakers, between Wednesday 10 September and Tuesday 16 September at their screen in Odeon cinema. One of Chahine’s iconic films will be shown every evening at 630pm. Kicking off on Wednesday with the 1958 production Bab Al-Hadid ("Cairo Station") which is considered one of Chahine's most famous films. Cairo Station also stars Chahine as a disabled homeless man selling newspapers in the train station who is trapped in a love triangle with Hanouma (Hind Rustom) who sells sodas in the station and Abu Sri’ (Farid Shawky) who is trying to start a movement with the stations workers against their tyrant boss. Chahine was awarded the Lifetime Achievement Award at the 1997 edition of the Cannes Film Festival. Chahine passed away in 2008. The retrospective will also host several talks, lectures and other events throughout the week that Zawya is yet to announce. Zawya, launched in March 2014 and is run by Misr International Films, the film company founded by Chahine himself. Odeon Cinema, 4 Abdel-Hamid Said Street, off Talaat Harb Street, Downtown Cairo.